We wish to offer our heartfelt thanks to all the teachers and staffs of Little Green House Yishun for making Vera's first (PG) and second (N1) years in school so easy and enjoyable. When she was in playgroup the affection and personal attention she has received from Teacher Jas has not only helped her to learn pre-school basic and allowed her to fully enjoy the whole new experience of school life with a positive attitude. Teacher Cat will smile and welcoming presence each school day brightens up the mood of all the kids and parents. She showered her with love and patience so that she was accustomed to the childcare so quickly and hoping to go to the school everyday. This is how she capture Vera's heart. Now in N1 Xue Lao Shi is my girl's favourite teacher, even though she is strict in class most times but she will shows the her loves and fun side too. She has progressed so well and is a more confident little girl than she was a year ago with the help and support from Xue Lao Shi. Once again, we would like to thank all staffs and teachers from Little Green House Yishun for everything that you all have done for my Daughter. Justin is graduating soon in a month's time. I would like to thank Little Green House, for the care and love that teachers have showered him throughout the 4 years. During this 4 years, I observed that the Principal - Ms Rajes and the fellow teachers took great effort in ensuring that the children are well nurtured. I truly appreciates that the centre had taken good care of Justin, on his character, behaviour and academically. Justin has transformed a lot during this period. I would like to give special thanks to Yang Laoshi, she has been teaching Justin during K1 and K2. She will always take additional effort and updating me as frequent as she could on Justin's daily activities. With this, I am able to concentrate on my work because I know that Justin will always be in good hands under her care. Justin would also share with me that Yang Laoshi is always encouraging towards him. I would take this opportunity to thank Yang Laoshi for her dedication towards education, and she is very passionate in her work. Great Job! Can see that my baby can slowly speak! Thank you for all the effort & time given! 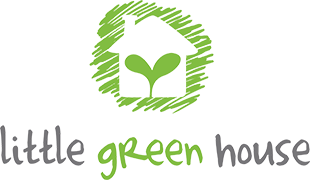 Karsten joined Little Green House in January 2014. My hubby and I were happy to find Little Greenhouse clean and tidy. We were relieved that Karsten liked school and was able to adapt without fuss under the patient teacher care of his Teachers Ann & Wang Yang. Diet is always a big concern of parents. My concerns were eased when Teacher Ann gave us a comprehensive weekly table of the menu that the children enjoy for all their meals. Karsten’s curriculum was also shared regularly through the communication handbook. During the meet-the-parents session with both Teacher Ann & Wang Yang, they gave us a holistic update of Karsten in terms of academic, social and motor skills development. I was impressed and thankful for the efforts made by the teachers who put together Karsten’s school work and pictures of him during work at play. Thank you Teacher Ann & Wang Yang for being such dedicated teachers and for making Little Green House a second home for Karsten. Teacher Yang, I am thanking you for your efforts contributed in educating my two children. Gyann was quiet & less approachable in school but you showed and convinced me that my daughter has a special characteristic on her own and put my worries to ease. I’m surprised that she can cope well in her Chinese subject in school. Jaxten, my playful boy, worried me too but you put my doubts away and showed me with videos that this boy is learning well. I was impressed with the songs & idioms that he has been reciting. You have gone beyond in frequently sending photos to all parents to ensure that our precious children have been well taken care and it’s so loving to see them having so much fun in school. We may not be in school with them but we still feel the joy, delights & excitement the kids had enjoyed. Pardon me in expressing my words in English but I would be good in my Chinese if you were my teacher too. Thank you! We appreciate your teaching, love and care for our son Sigmund Chua especially when he is naughty. He has learned a lot during his stay in infant care. We are glad to have you as our son’s teacher. Thank you for your care and concern that you’ve showered on Maisarah during her time in school. We appreciate the love you’ve given her and we see the difference it gives to her. Our sincerest thanks. Ms Tina, the Principal of Little Green House at Tampines, is a dedicated person in leading, caring and inspiring children to believe in themselves and be the best they can be. She would constantly garners feedback from parents on the extra enrichment programmes that best suitable for children holistic development. Ms Tina has also conducted parents’ survey for improvement in all aspects (e.g. well-beings and learning) for children. She is a reflective and receptive practitioner who demonstrate deep pedagogy to her teachers through regular meetings as one of the platform. She is open to feedback from parents and would review the ideas suggested to her to improve the environment of the centre. In addition, she requested teachers to update the child weekly learning via communication book regularly. The communication to parents like monthly newsletter etc. were more systematic. She is a vigilant person and would conduct classroom observation for teachers for professional growth in terms of nurturing the children for both academic and holistic development. For some themes, the children would have their experiential learning out of the school which have made learning of the children more authentic in real-life scenario. For example, the learning journey to hay dairy goat farm for The Food theme. Ms Tina works closely with stakeholders like parents in organizing parental involvement activities like Christmas Party, Chinese New Year celebration and Mother’s Day Celebration etc. The aim is to create a child, parent and teacher relationship. Judos to the effort made by Little Green House @ Tampines!